Blackjack has spawned a huge number of variations over the years. Some of these are additional bonus games (side bets) which go with an ordinary main game. Others completely change things around, with different rules, cut down decks and even combinations of Blackjack and Poker in one game. The question is; which of these variations are entertaining, and which are duds? This page outlines 5 variants which are out of the ordinary as far as your enjoyment goes. 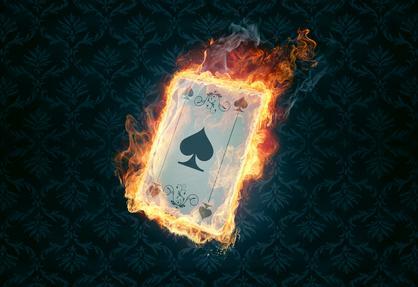 If you thought of blackjack as kind of boring, these games will certainly add some spark to your gambling session. If you are already a fan then they will also add a new angle to your strategy and how you approach the game. I’ll try not to be too biased here (this is a personal favorite). 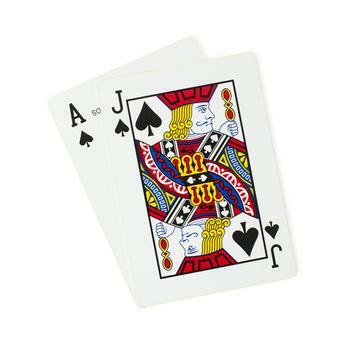 You can now make Blackjack + a 10, which you can double-down on if the dealer is showing the right card. Not all hands will be so clear, which is what makes this game interesting in the first place. A good strategy for beginners is to go for the single best hand you can make, and then just play a good basic strategy from there. As you get more advanced, you’ll see opportunities to split, double and to play in counter-intuitive ways in certain specific spots. It might sound like a bit of a cliché, however those live games really do make casino table games more entertaining. You’ll have the action streamed to your machine, and sit at a 7 seat table just like in Vegas. The dealers are almost all attractive young women, mostly students dealing their way through college. They are friendly and personable, and you can interact with them via a text chat box (they will reply verbally). There are two kinds of game you can play. The 7 seat ones are the main variety. These are very entertaining, however can be a little slow, especially when you get the odd slow player at your table. The other type is a one-to-many game, where multiple people can bet on the outcome of a single hand. This might not be for the Blackjack purists out there, though it is the quicker game. Stakes are higher for the live streamed Blackjack games, most casinos start at $5 per hand, though you can find games for $2.50c per hand at the US friendly 5Dimes casino. High rollers can play at exclusive tables (which naturally are hosted by the best croupiers!). This format is definitely worth a try, you’ll be surprised how big a difference that social element makes. BetOnline is an easy top pick for live dealer games for US based players. This is a long-running and trusted brand, offering slots, poker and sports betting as well as a full suite of live dealer games. Look out for regular special promos for these games too. Check out www.betonline.eu for yourself now! 888 is not just the most popular casino for slots and virtual casino games – they are an easy top pick for live dealer casino games too. These include blackjack, casino holdem, 3 card poker, roulette and baccarat. With these games fully integrated into the regular client, you can access them any time. Look out for the generous player promotions at 888 Casino too. Check out the live dealer tables for yourself at www.888casino.com.now! The main reason to try this game is the liberal rules for just about every action possible! My favorite rule is that you can double-down at any point during the hand, and not just after 2 cards. There is also the nice change-up that player Blackjack beats dealer Blackjack, oh and you’ll get 2:1 for 6 cards totaling 20 or under too. Add to this the splitting (or should I saw multiple resplitting) rules, and you have a very entertaining game. Of course, the casino does not give you all these ways to win without taking something back. In this case Blackjack only pays out at 1:1, and there is a side bet (based on Blackjacks) which does have a high enough house edge to warrant an ‘Avoid’ sign. International Players: PlayTech has a great version of this game, you can find it at BGO Casino. This game is specific to PlayTech casinos. If you have ever been in a position where you get a nice 10 as your first card and then a pesky 5 or 6 lands, then you’ll wish you had the ability to make that card burn (disappear). With this variation, that is exactly what you can do, for an additional half a bet. This is counted as a side-bet, which makes sense. It does feel like the equivalent of a surrender in some ways, instead of giving up half of your bet, you add more and get the chance of a better outcome. Oh, and you win 7:1 on this bet if your burn card is the Ace of spades. Both US and International Players can enjoy this quirky variation at Drake Casino. This game is exclusive to Bovada (for US players only at the moment) and works really well on mobile devices. Think of a speeded up Blackjack game, where you have the ability to get rid of any score of 15, 16 or 17 by hitting a ‘Zap’ button which appears in addition to the regular action buttons. If you enjoy mobile casino games and live in the US, what are you waiting for – head on over to Bovada.lv and check out the new game now! Common Blackjack Leaks and how to Plug them.